It was going to be a big leap - until then I had only ever worked under someone as sous chef extraordinaire, dutifully following direction, maintaining the chef's vision and fielding questions from the rest of the cooks. And then, two years ago, I had the opportunity, thanks to the faith of Devon & Nathan Yanko, to lead my own kitchen. I am so happy I took that leap. And then one day it became clear - pasta is the ultimate camp food. I was 18 and living in Florence for the summer while taking a film making program through NYU. At that moment however school was a distant thought as I struggled to fit in among the shaggy, bohemian young Italians camped riverside at a music festival outside of town. When they weren't smoking hash the cool kids were getting busy with huge pots of water, boiling and straining pasta. My American mind was reeling - pasta and camping? I was used to hot dogs, canned beans, maybe a quesadilla. That day the world shifted a little bit. Pasta stepped into the great outdoors. There is a journey to my over-involved and somewhat obsessive thought process in the dinner menu planning department: what starts on the foggy coast of Brittany, travels over the Moroccan desert, and dives through every wormhole in my brain, invariably leads me to tacos. It is an undisputed fact that I have never encountered a human who did not like tacos. Therefore, as the host, I'm pretty much setting myself up for total success by throwing a big, fat taco party. Not to be a bore but we are mid-way through summer, pretty much as of today. I know some folks aren't as big of fans of laborious time sucking home projects as I am, but making jam is so gratifying. I usually make up a few smaller jars to give away to visiting friends, and people are STOKED. That's worth it in and of itself. I need not sing to you the praises of the pea. Even frozen and trapped in little white bags from the freezer section they are damn good. 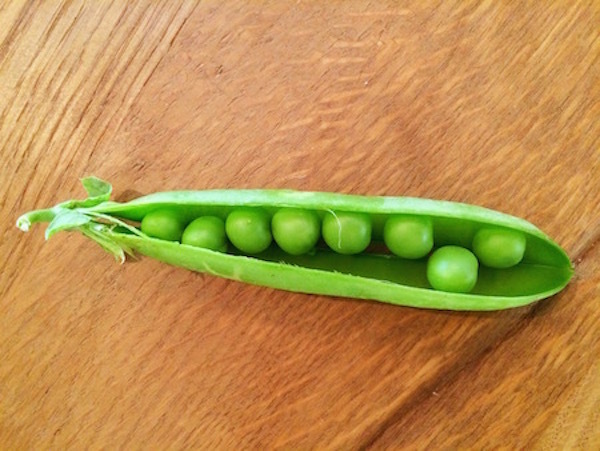 But fresh peas are magic. They are also rare, fleeting, and require a good deal of labor to get the goods out. It's best to start the shucking when there is at least one person sitting around your living room, reading a book, sipping a cocktail or picking their fingernails. Dump the pods out on the counter, moan a little, and see what they do. Nine out of ten jump in and rock it out with you. So buy a bag and get into it. 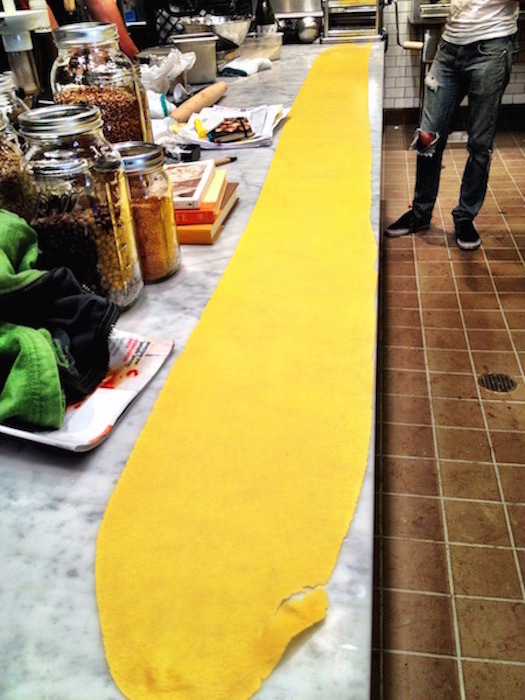 Before we opened the kitchen at Mill Valley Beerworks, we tried to roll the longest pasta on the planet.. There were many afternoons after rolling out the pasta for that evening's service when I felt like the worst cook in the world. I couldn't get it. It was too dry, too wet, it ripped when I was in the final roll, you name it, I messed it up. I was so scarred that I didn't make a single attempt at fresh pasta for two years. Thankfully I discovered whole egg pasta dough and the world opened up again. The best part about doing whole egg pasta dough (as opposed to just using the yolks), is it is forgiving. Mixing, kneading, and rolling are all infinitely easier when compared to the finicky yolk/00 pasta dough David had me doing at Mill Valley Beerworks. My recent glut of free time (which is what happens when you leave a restaurant position) has left me with a lot of cooking fire and nowhere to put it. So I've turned all Susie Homemaker and started making everything from scratch at the house. Things I did at the restaurant - pasta, nut butter, jam - but never did at home because it was too daunting a task after a day of service. It it all fair game now; once you are used to prepping for 10 hours straight five days a week, a four hour project at home seems like fun. Which is when I figured out why being a home chef, while very relaxing and personal, can at times be harder than being a restaurant chef - you have to wash your own dishes! Man I took Pedro, Jorge and Ronnie for granted. No, I didn't. Those guys rock and have the most important job in the whole place.